A natural wood burning furnace is a stove that uses wood to generate energy and is primarily used for heating. There are many types of wood burning stoves available with a range of styles and designs depending on the end user’s needs. When home owners use wood stoves, they typically build fires inside a very solid constructed and insulated unit that can withstand enormous levels of heat. Many people enjoy wood burning stoves due to their ease of use, heating costs and heating capabilities. Consumers in recent years have rediscovered the elegance and old style charm of a wood burning stove. The first step when considering a new unit is determining how you will use it. For some homeowners it is the perfect complement to an already existing heating system. For others, it might be used as a temporary backup in the event natural gas or electricity to the home is interrupted. Selecting the right stove means finding one that has the functionality to closely match your home decor and requirements. A wood stove installation Vancouver WA service such as All Fuel Installation helps clients choose and install wood burners. You will find wood burning stove designs ranging from contemporary stove designs options to antique reproductions. The heating capacity of the wood burning stove most often determines the financial cost. Many affordable models are now available that can easily insert into an existing homes fireplace. It is important to purchase a new stove with the idea of it serving your home as a dependable heat source for many years to come. Although wood burning stoves tend to be more frequently used in rural locations, more homeowners are finding that modern stove designs are now less polluting and more efficient than their past counterparts. 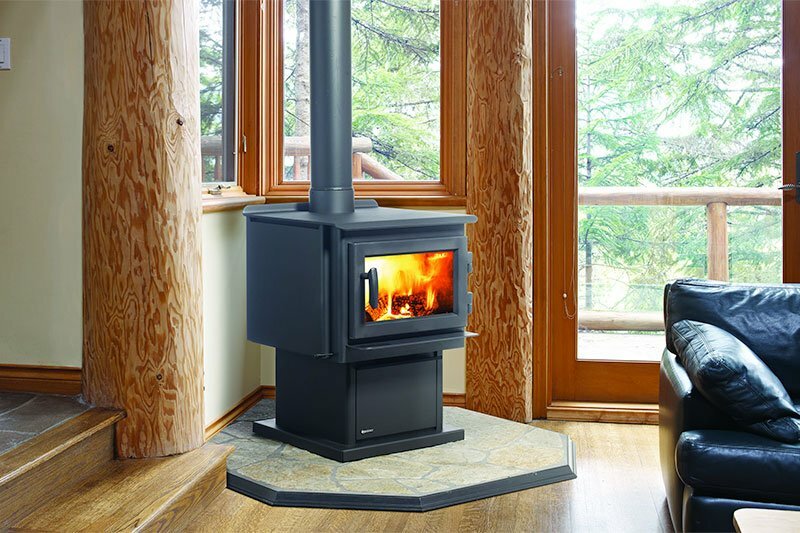 The placement of a new stove should be handled by a professional wood stove installation Vancouver WA expert. All Fuel Installation offers highly efficient wood units that allow customers to enjoy the warmth and smell of a traditional fire. Wood burning stoves require special care when installing and must adhere to the dimensions set forth by the manufacturer for maximum performance and safety. New wood stove installation Vancouver WA is among our many specialties. We can install your new unit or diagnosis operating problems you may be having with an existing wood burning device. For your maximum comfort contact the professionals of All Fuel Installation & Service today.